Walker & Dunlop, Inc. announced today that it closed a $15,960,000 forward commitment for the permanent financing of Bay Meadows Apartments, a 68-unit affordable housing community located in San Mateo, California. 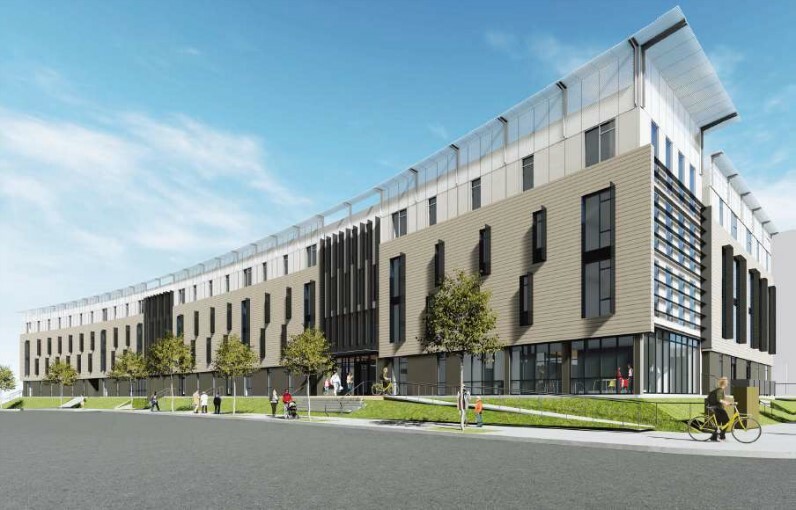 The property will be developed using 9% Low-Income Housing Tax Credits (LIHTC) and is scheduled to be completed in June 2020, with the permanent loan targeted for conversion in September 2020. Walker & Dunlop’s Jeff Kearns and Matt Naish completed the Freddie Mac Unfunded Forward Commitment loan on behalf of the developer, BRIDGE Housing. The team utilized Freddie Mac’s “Index Lock” program feature which fixed the interest rate structure prior to formal loan approval. Kearns and Naish were also able to provide impressive pricing and terms on the 17-year loan, including a max loan-to-value of 90 percent and a minimum debt service coverage ratio of 1.15x. The 30-month commitment will provide ample time for BRIDGE Housing to complete construction, lease-up, and project stabilization. The favorable loan terms also minimized the deferred developer fee, providing the certainty of execution required by the developer’s other capital partners, Silicon Valley Bank and National Equity Fund, Inc.
Limited housing options in the greater San Francisco metro area have resulted in significant year-over-year rent growth and high vacancy rates. As affordability in the market declines, cost-sensitive renters are beginning to move from San Francisco to San Mateo, increasing the need for additional housing options with accessible price points. With its central location in San Mateo, Bay Meadows Apartments will offer residents much-needed access to affordable living, as well as convenient access to local transit and other amenities.